The body of research confirming that screen time can negatively affect sleep continues to grow. Previous findings have shown that blue light emitted by many electronic devices delays our normal sleep cycles, contributing to sleep problems that affect over 80 million Americans. Perhaps those most vulnerable to the negative effects of screen time are children. Kids need sleep to grow, so not getting enough can be extremely damaging to their development. In a recent study, researchers from the Centre for Brain and Cognitive Development at the University of London say that growing up with new technologies could be a challenge when it comes to getting sleep. “Traditional screen time (e.g. TV and videogaming) has been linked to sleep problems and poorer developmental outcomes in children. With the advent of portable touchscreen devices, this association may be extending down in age to disrupt the sleep of infants and toddlers, an age when sleep is essential for cognitive development,” the authors say. In their study, the researchers attempted to draw a link between sleep quanity and how often touchscreen devices were used. Data was collected from 715 UK infants and toddlers between the ages of 6 and 36 months, and the results weren’t all that surprising. While the findings showed that touchscreens did negatively affect overall sleep duration, the researchers say that they did not find that screen time affected the number of night awakenings, which have the strongest impact on cognitive development. However, they do admit that this statistic may have been underreported by parents. The results of the study should be troubling for parents considering how much time kids spend in front of screens. 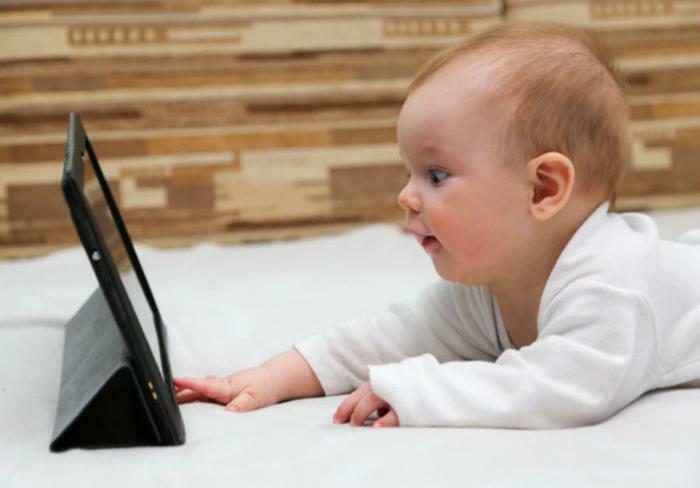 Past studies have shown that the average toddler spends 25 days per year streaming TV, or 1.8 hours per day. And those numbers only seem to be rising over time. Experts say that consumers should spend at least 30 minutes technology-free before going to bed, so parents who want to ensure that their child is getting enough sleep may want to adopt similar rules. To curb bad reactions and create a healthy schedule, consider adopting a reading time before bed so that children know what to expect. The researchers’ full study has been published in Scientific Reports. When should your kids go to sleep?